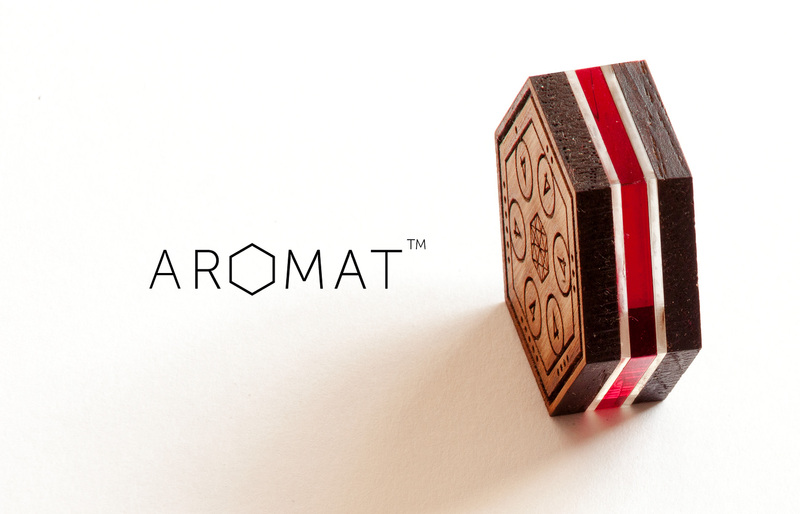 // Aromat is deeply strategic, yet easy to get into. 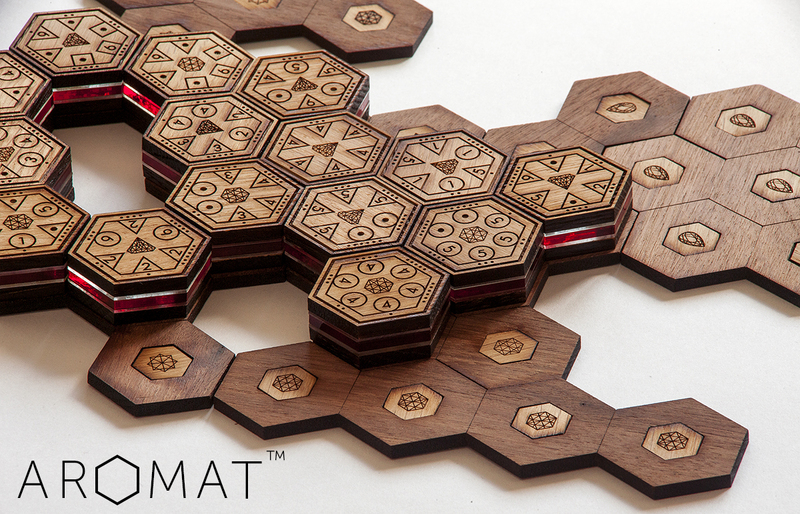 This tabletop game will keep you engaged because of its intelligent gaming mechanisms and its nice design. 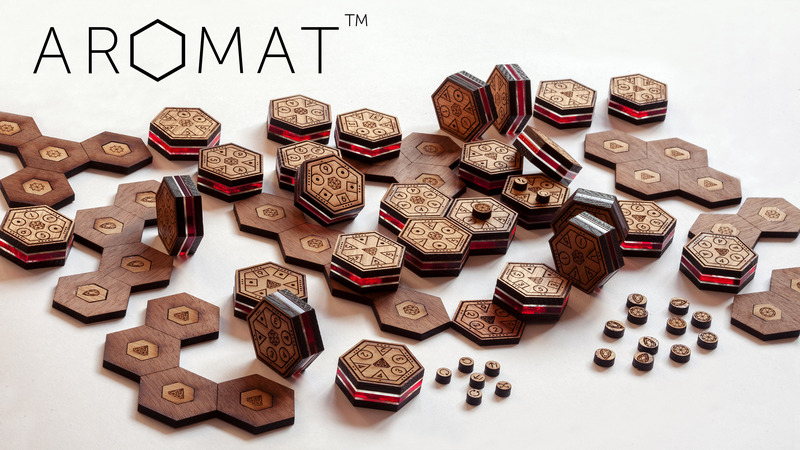 // It’s the first abstract strategy game ever with a collectable approach. Hence the unique genre it creates: Collectable Abstract Strategy™ (CAS). // The playing mechanisms are developed so that they will train your brain in information processing and decision making, both very useful in our modern society. // It also includes a revolutionary method to train your musical hearing: while playing the game you will internalise intervals and chord structures. Great for all musicians and non-musicians. 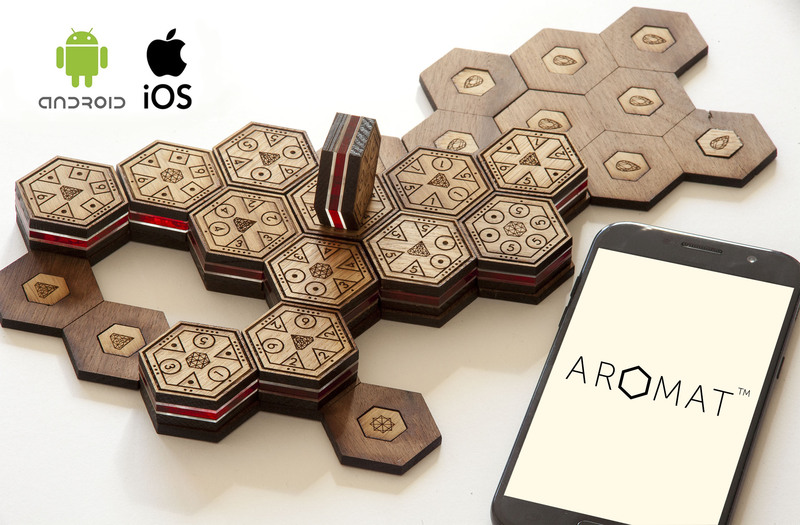 // patternsgames.com // (Aromat is copyright protected. All rights belong to Patterns Games Publishing).